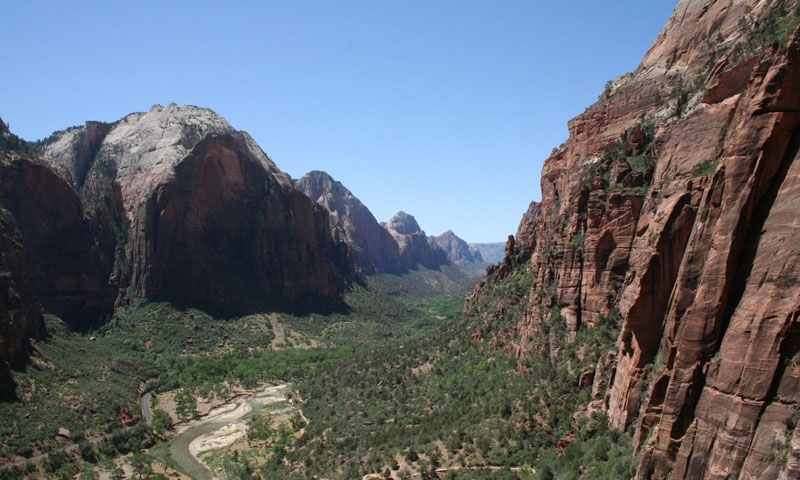 In terms of absolute stature the Zion Canyon Scenic Drive is nature's version of Chicago's Magnificent Mile. Both attract crowds from all over the planet, but instead of buildings Zion's Canyon Scenic Drive is lined with cliffs, and instead of landmark stores it showcases landmark geological formations. This scenic road winds along the floor of Zion National Park's Zion Canyon for 6.5 miles, seemingly using the Virgin River as a guide on knowing where to bend and turn. The canyon cliffs stretch over 2,000 feet into the Utah sky, creating an almost constant state of perpetual shade. The willows and cottonwoods that line the road and river lend an oasis-like feel to the canyon, heightening the drive's this-is-amazing effect. Along the way there are plenty of pull-offs for picture taking, picnicking and pondering, perhaps, on how the seemingly calm Virgin River was able to carve the entire canyon. The drive also passes some of Zion National Park's greatest landmarks including the Sentinel, the Organ, the Three Patriarchs, the Great White Throne and the legendary Narrows. The lone hitch is that between early April and late October this drive is instead a ride. Due to crowds private cars are not allowed. 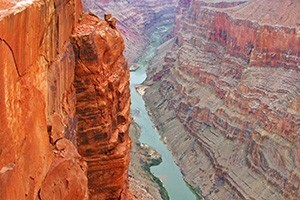 You must instead access the canyon via the park's free, open-air shuttles. 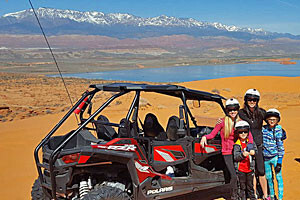 The shuttles run every seven minutes and do allow for carrying strollers, backpacks and coolers. You board at the park's visitor/transit center near the south entrance, where there is plenty of free parking.